UPSSSC Lekhpal Recruitment Notification 2015, Syllabus Details- Uttar Pradesh Subordinate Service Selection Commission (UPSSSC) has recently released a recruitment notification to recruit Lekhpal Chakbandi posts. Who are eligible and interested they can apply online mode by visiting official site of UPSSSC before last date. 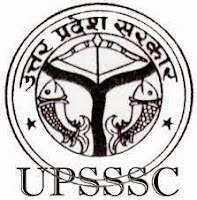 Candidates also check other details related to UPSSSC Lekhpal Recruitment like how to apply, syllabus in Hindi, question Paper Pattern, exam date, and more details check in UPSSSC Official site. Section C – General knowledge - 20 and basic knowledge of computer. Note: interview test of 10 marks will also conduct for the selection of the eligible candidates.